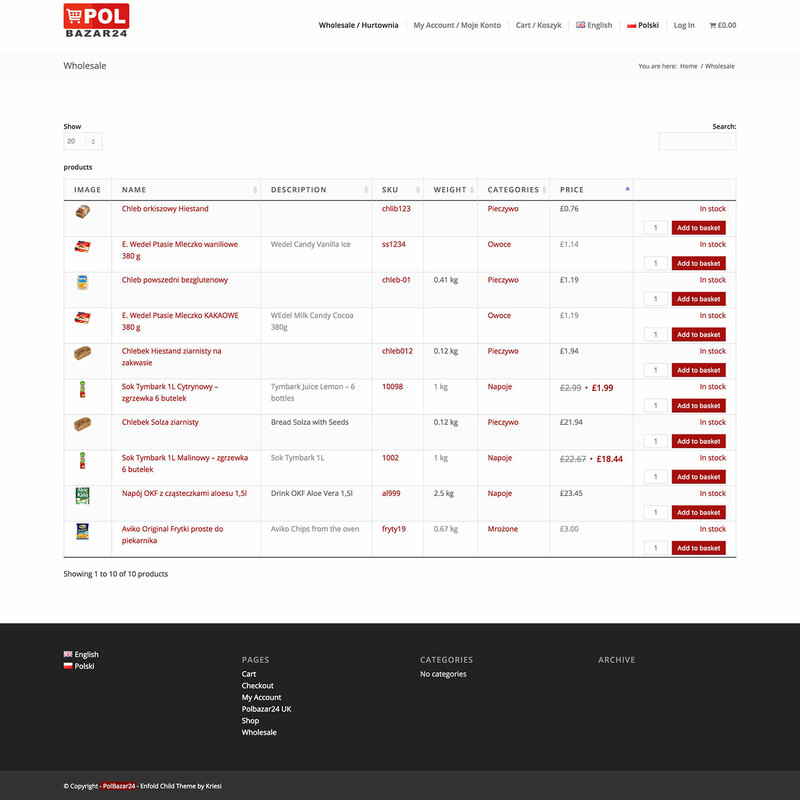 PolBazar24 uses Product Table as a WooCommerce one-page order form plugin to sell their wholesale Polish food products. 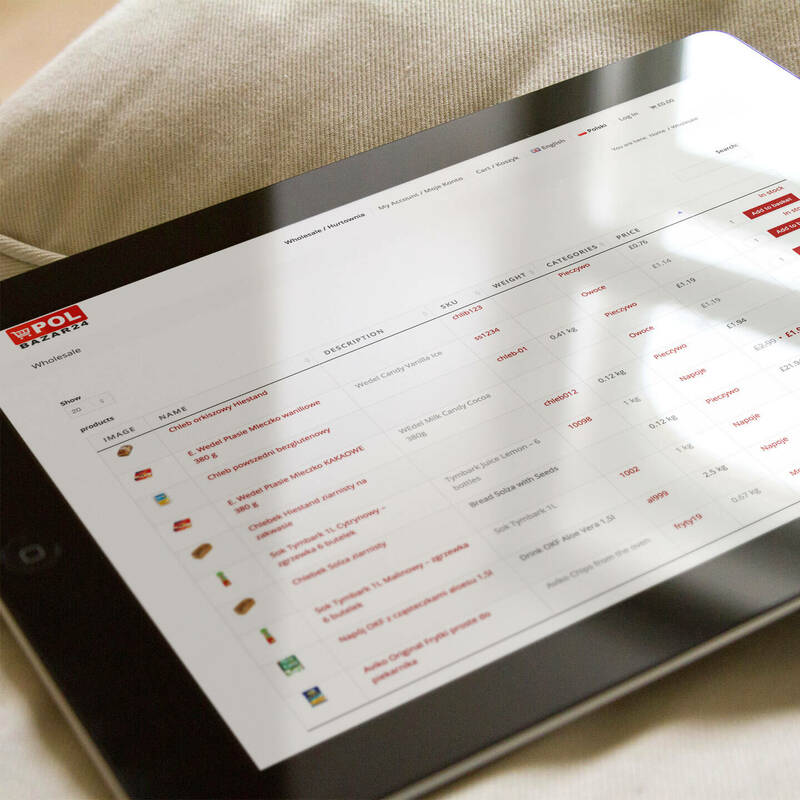 It lists important information about each product in sortable table. This includes the product featured image to give a visual element to the table. The order form also displays the product name, description, SKU number, weight and price. The stock level indicator tells customers whether the product is in stock. For ‘In stock’ products, they can select the required quantity and add to cart, all from this single page WooCommerce order form. Customers can click on a category name in the order form to sort the table. They can also sort by each column in the one-page order form and perform a keyword search. This helps wholesale customers to quickly find the products they’re looking for. Use WooCommerce Product Table to list products in a sortable order form.